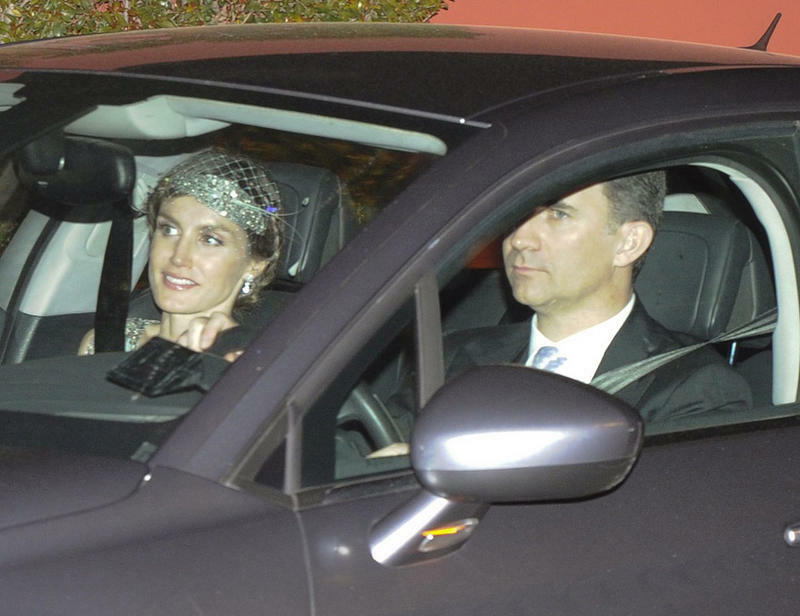 On March 24, the Prince and Princess of Asturias attended the wedding of Don Álvaro Fuster, lifelong friend of Don Felipe in Málaga. The Princess wore an embroidered Felipe Varela dress, a matching Pablo y Mayaya fascinator and her diamond wedding earrings, a present from Their Majesties King Juan Carlos and Queen Sofía. Click here for two blurry photos, one of the whole outfit. « Audiences in La Zarzuela. March 2012, Madrid.